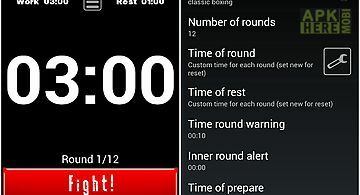 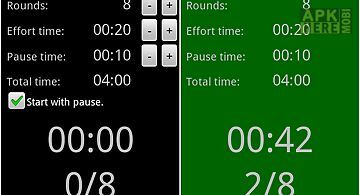 Impetus interval timer app for android description: Impetus is an advanced interval timer for all training with intervals or other timed repetition hiit tabata fight gone bad crossfit kettlebells pyramid training running bodyrock zwow breath hold training beastmaker boxing martial arts yoga physical therapy etc. 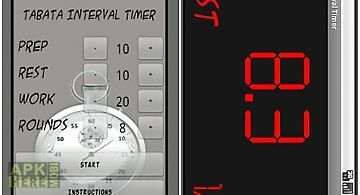 Get training fast: set your timer quickly in the basic mode. 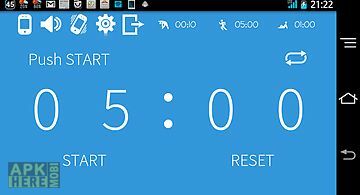 Or choose from ready made timer presets to get going with zero effort. 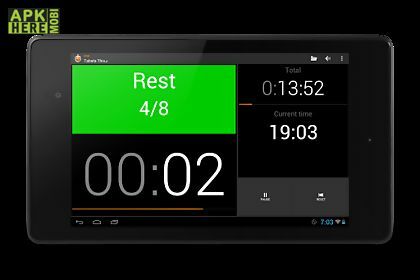 Build all your training plans: construct any type of timing using the advanced mode. 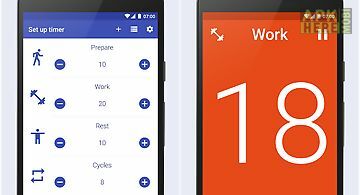 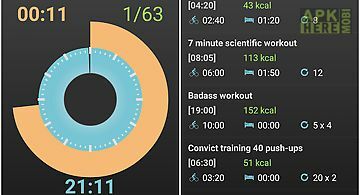 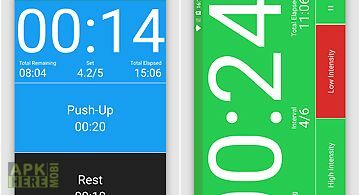 Program any number of sets and timers nest sets inside each other for big workouts use variable timers for pyramid er your presets over and over: all your timers are automatically stored in the app for later use. 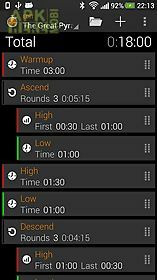 Copy presets to quickly create new variations. 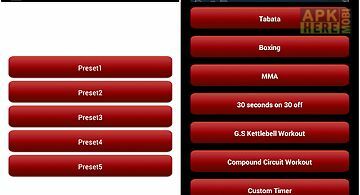 Customize your cues: use your own alert sounds colors and interval titles. 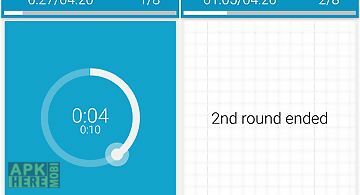 Let you device be your coach: switch on text to speech to have your device call out interval changes. 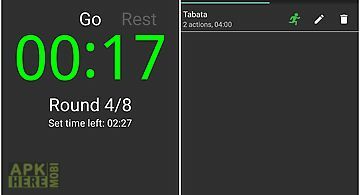 More features in impetus plus: rhythm your training: play your music playlists in sync with the work and rest intervals. 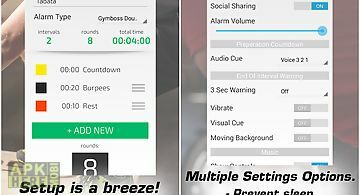 Share and backup your presets: export your presets to files for backup and sharing with your friends. 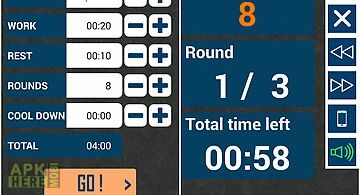 Support the development and open all features by buying impetus plus. 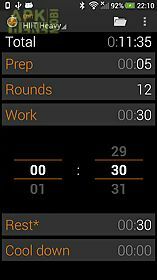 More features: clear and comprehensive timer display with portrait and landscape modes home screen shortcuts to presets for quick access configurable countdown before next interval configurable auto pause on incoming call (call state permission is used only for this functionality) optional auto pause on any stage of the training set option to start the timer by shaking the device can be run in the background mute option for background music player on alerts ad free installable to sd cardtwitter: impetustimerblog: impetustimer.